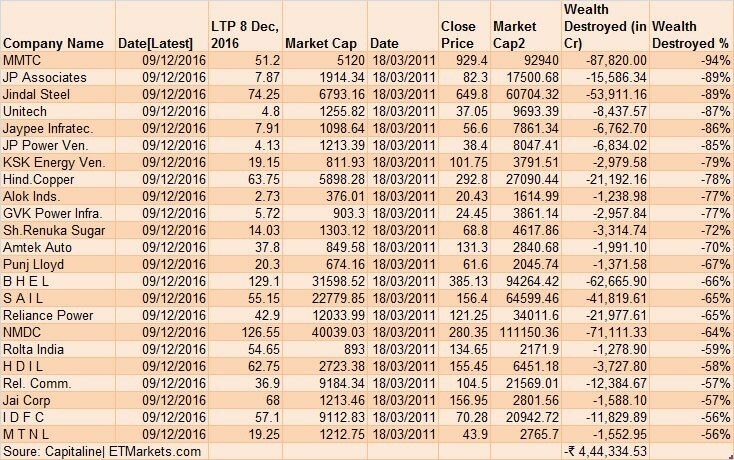 A report by ETMarkets.com for the list of stocks that destroyed the most wealth from march 2011 to December 2016. So let us use this report to analyze each stock on the process I follow to invest in my open portfolio using fundamental analysis. If I would have invested in these companies in 2011 or not if no then what could be the possible reason from my investment checklist. Luckily all 23 companies would have been avoided and this gives me a sigh of relief. Let me explain the above short answers in detail. PSU – PSU companies have tough time attaining high operational efficiency and also lags research and development. Group of Companies – I avoid group companies as which business brings how much profit becomes difficult to assess. High Debt – High debt and no focus on reducing it has always been a no for me. Real Estate – Management even if they are honest, sector deals with so much under the table deals (land deals, municipal approvals …) that you cannot rely only on balance sheet and profit and loss statements. Commodity – Commodity producing companies don’t have pricing power and rely only on operational excellency to make profit as commodity price is always fixed. Lowest producer of the product will always have an upper hand. Power Sector – Yet another sector similar to commodity with no pricing power and need operational excellency to remain profitable. Telecom Sector – A price competitive sector with no pricing power. Let us classify the above 23 companies. Debt is the biggest reason for companies that perform badly. 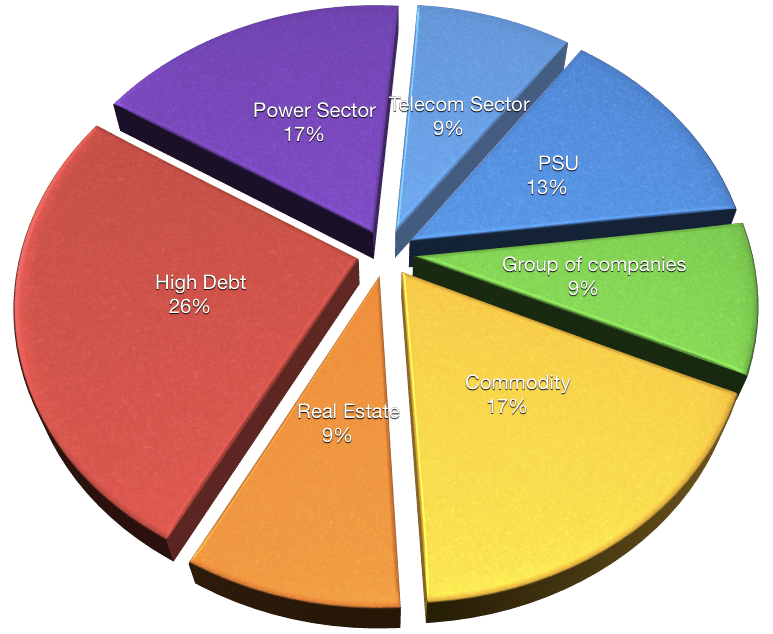 If we combine commodity, power sector and telecom companies under one roof of no pricing power, it becomes the single biggest reason of wealth destruction. When the market corrects, portfolios are in losses and it is the time when you should validate the process of identifying stocks to see if you can find any false positive in your approach. Investment can flourish if and only if we can identify good future businesses and two most important aspects of safe investing are low debt and how well the company can price their products or if it is a commodity company, are they the lowest producer of the commodity. Tips to managing cheque carefully and this is over and above ensuring sufficient funds in the bank account.